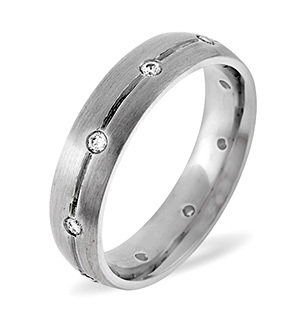 This stunning diamond ring features two bands of highly polished 18k gold or platinum embracing one another. The top row is studded with 15 round brilliant-cut diamonds, hand selected in your choice of clarity. The diamonds, total weight 0.23ct, are perfectly pave set. Balance and harmony to symbolize the everlasting union between two lovers. ILIANA 18K Y Gold Boyaca Colombian Emerald and Diamond Ring 2.00 Ct.
ILIANA 18K Y Gold Kagem Zambian Emerald and Diamond Ring Size O 1.000 Ct.
14K W Gold Diamond Ring 1.00 Ct.